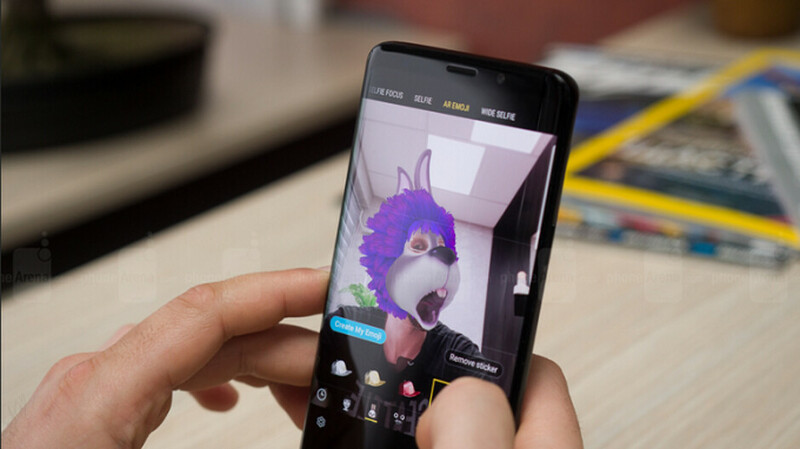 Yesterday, we told you that Samsung Galaxy S9 and Samsung Galaxy S9+ users belonging to Xfinity Mobile subscribers were making history. They were the first with U.S. carrier-locked versions of the 2018 flagships to receive the Android 9 Pie update along with the new One UI interface. Today Verizon announced that it is pushing out the update to its Galaxy S9 and Galaxy S9+ handsets. The software version for the former is PPR1.180610.011.G965USQU3CSAB, and for the latter that number is PPR1.180610.011.G965USQU3CSAB. Both include the January 1st, 2019 Android security patch. Android 9 includes features like the Adaptive battery and Adaptive brightness. The former learns which apps you like to use the most, and restricts access to the battery for those apps you rarely open. The latter learns how bright or dark you like the screen under certain conditions, and automatically moves the brightness controls depending on the ambient lighting. Both features could extend the battery life of your phone. Slices allows you to see information from an app in the search results. For example, search for Lyft and without having to open the app, you'll see current prices and how long it will take a driver to reach your location. One big change found in Android 9 is the gesture navigation system that is available, and App Actions helps you get to the next task by figuring out in advance what your next move will be. For example, when you connect your headphones, a playlist that you were listening to previously will surface on the screen. One UI is Samsung's new interface that makes one handed use of a large screened phone easier by placing actionable content on the lower portion of the screen. Night mode reverses the look of Samsung's apps from a white background and black text to a black background with white text. The idea is to save your eyes from getting seared by a bright white background in a dark room. The update also adds Verizon's One Talk service to the native dialer instead of requiring the user to open a separate app. The feature allows a Verizon subscriber to seamlessly switch between a mobile phone and a landline with one Verizon phone number. It also allows for conference calls containing up to 6 people at once. When the notification appears stating that the update has arrived on your phone, Verizon recommends that you make sure of two things before starting the update. One, make sure that the phone is connected to a Wi-Fi signal, and two, make the sure that the battery is fully charged. If you're hungry for some Pie, you can try to manually initiate the update by going to Settings > System updates > Check for system updates. If the update has hit your phone, tap on Download now. When that process is over, click on Install update. The estimated download time is 6-10 minutes with another 6-10 minutes required to update the handset. So Verizon subscribers are the first of the four major U.S. carriers to receive the Android 9 Pie/One UI update. The good news is that AT&T, T-Mobile and Sprint subscribers with the same models should soon receive their slice of the Pie. Pie? I'm waiting for the strudel.